Probably the most famous account of the Spanish Civil War in the English language, Orwell actually chose the wrong place to go to in Spain. By going to Barcelona to fight with the International Brigades, instead he became embroiled in the struggle there between communists and anarchists and a multitude of other factions, a long way from the front line. He observes the in-fighting with a clear eye, seeing with a kind of innocence how convoluted the Spanish Republican loyalists could manage to make their strategy against the fascist Nationalists. The life is repetitive, boring, in the most unsanitary conditions. ‘A life as uneventful as a city clerk’s, and almost as regular. Sentry-go, patrols, digging; digging, patrols, sentry-go. On every hilltop, Fascist or Loyalist, a knot of ragged, dirty men shivering round their flag and trying to keep warm.’ He writes of the real wretchedness of a badly-planned war, with few weapons, and little support. In every word, Orwell’s journalistic credentials shout out. 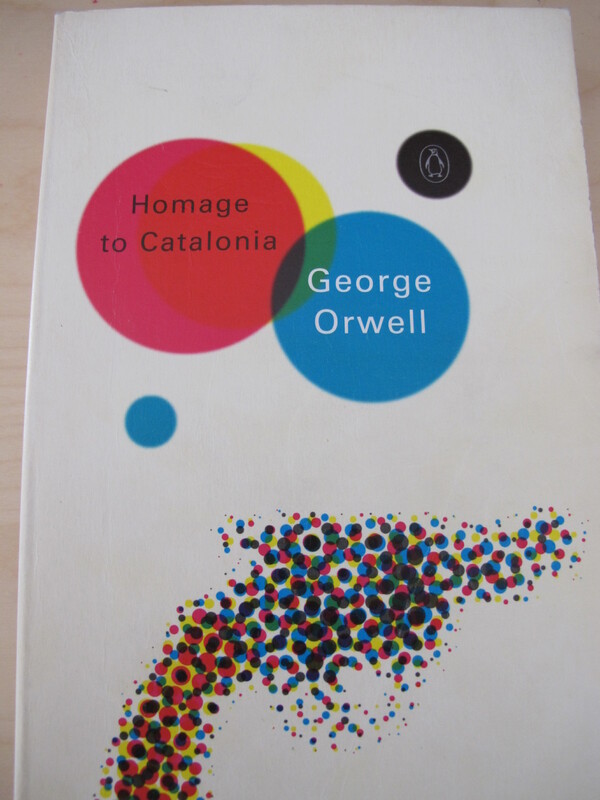 This entry was posted in Books about Spain and tagged Andalucia, book, George Orwell, Sandra Danby, Spain, Spanish Civil War on August 28, 2013 by sandradan1.